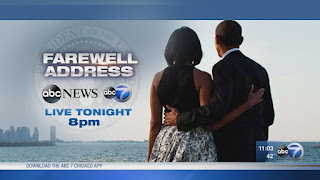 I watched President Obama make his farewell address to the nation last evening and I realized that I may be watching the end of an era in American politics. The speech was elegant and well spoken. There were no "off the cuff" slanders against any particular group of people. 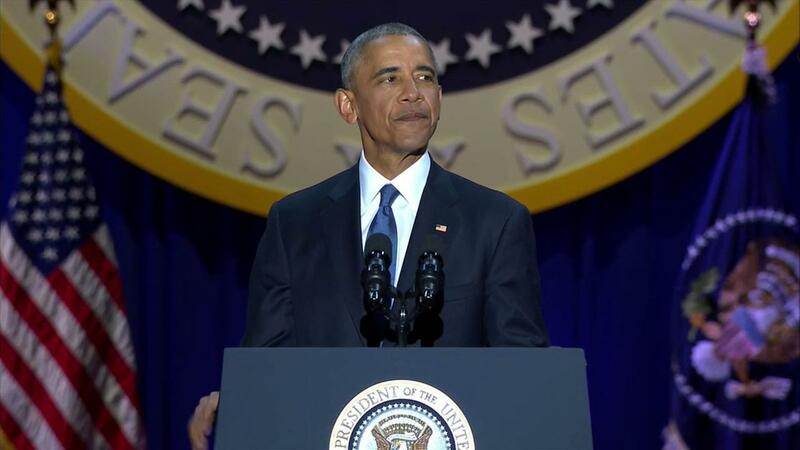 The speech was focused upon inclusion and presenting a positive view of America and the President's term in office. I found it amusing that at one point the assembled crowd broke into a chant of "4 more years." I was particularly impressed with his words about the Constitution. Note: The excerpts from President Obama's speech are from the New York Times. I am a huge supporter of the Constitution. I was pleased with his references to "We, the People." The united States is, after all, a country founded upon the idea of "We, the People . 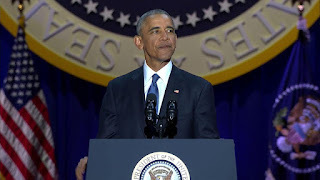 . . "
The farewell address was presented in superior fashion, even when hecklers tried to disrupt the speech, Obama's grace and forbearance was evident--he simply continued with his remarks until the hecklers were subdued or got bored. My friends: We did it. We weren't just marking time. We made a difference. We made the city stronger, we made the city freer, and we left her in good hands. All in all, not bad, not bad at all. I wonder, will we be so optimistic in another eight years?